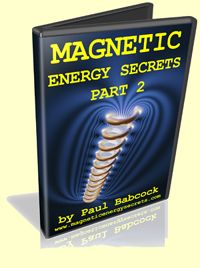 Magnetic Energy Secrets Part 2 by Paul Babcock – Paul picks up where he left off from Magnetic Energy Secrets Part 1. This time he presents all the math necessary to calculate how much radiant energy is contributing to the production of new energy in the system. He also shows a demo of his highly efficient motor running.